Before Biber came to prominence, Schmelzer helped establish the violin sonata outside of Italy. Arguably his most important work is the “Sonatae unarum fidium” of 1664. It was the first collection of sonatas for violin and basso continuo published outside of Italy and showcases some of Schmelzer’s finest work. The English violinist John Holloway has a lively and fresh take on the collection in a 2000 recording . The CD also contains an almost jazzy version of “Chiacona in A” by Antonio Bertali. 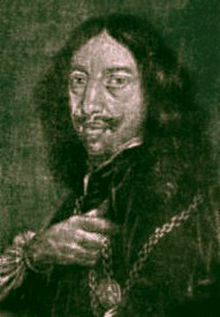 This entry was posted in Johann Heinrich Schmelzer, Point Against Point and tagged Baroque violin, Heinrich Ignaz Franz Biber, Johann Heinrich Schmelzer. Bookmark the permalink.